So if you’re not living out of a backpack, why go to such extremes? Why own just One of an item, when you have plenty of room for two, or three, or ten? For the same reasons you might train for a marathon or go on a meditation retreat. When we voluntarily undertake a difficult challenge—especially one that pushes the bounds of our abilities or comfort levels—it’s a wonderful opportunity for personal growth and discovery. It’s an opportunity to build our self-discipline and bolster our confidence. Plus, it’s fun! This passage really spoke to me. I liked being constrained in some ways. Restriction can be freeing and wonderful. It doesn’t have to cause anxiety or strip you of joy. I had done countless diets – from Weight Watchers to counting calories – before finding the Whole30. My life completely changed because for those thirty days I didn’t have to make any choices or decisions about what I ate. I know that sounds weird because it seems like you’re making lots of decisions, but you’re really not. On WW or other diets (or just when I was trying to “eat healthy” without an official diet) I was constantly questioning my decisions and wondering if I made the right choice. And then feeling crushed when I clearly misstepped. On Whole30 I didn’t have to think about points. I didn’t have to do math to see if I was over or under my daily allotment of ___. I just ate food on the “yes” list until I was hungry. Minimalism and zero waste feel the same way. Perhaps just because I’ve never trained for a marathon, haha. It’s freeing and brings me joy. If I find myself anguishing over a decision or making myself feel bad or guilty, I step back and let it go. Just because I haven’t eliminated all of my waste doesn’t mean I’ve failed. What’s the end game here? To be perfect? No! It’s to have a wonderful, simple life that I can feel proud of and appreciate. …That being said, I don’t think I’m ready to undertake this “one” challenge quite yet. However, maybe I already am? In fact, you may already be practicing One without realizing it. For example: if you have eight pairs of jeans, but always wear your favorite; if you have a jar of wooden spoons, but always reach for the same one; if you carry the same bag every day despite the stash in your closet. Why not stow the extras away for awhile and see if you miss them? If not, you can eventually declutter them, create some space, and streamline your daily routine. My husband and I both love the space, freedom and time that living more minimally affords us. But, we’re still learning, tweaking. For example we both thought we were “done” with our closets/wardrobes until we both decided to create capsule wardrobes this winter … and realized we still had piles of items that we never wore. Living and learning! 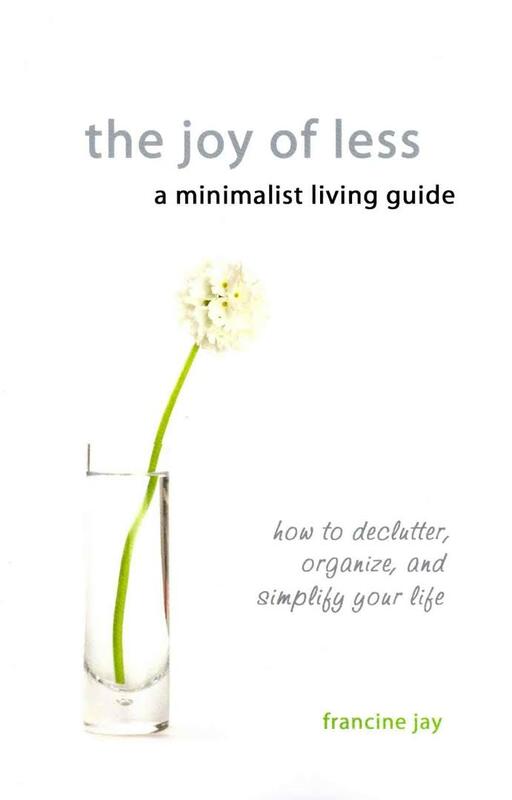 If you like this, I highly recommend checking out Miss Minimalist and her book, The Joy of Less. Yes streamline is a great word! You don’t have to make “extreme” changes or feel deprived. I definitely love clothes and makeup … Even more now that I’ve honed my collection down to my minimum. Oh, yes, streamline is the word. It feels extreme at the outset, but once you dive in I’ve found it gets more and more natural. Was thinking about this last time as I was straightening up my house – minimalism is really starting to bear fruit in my life as that becomes so much easier. Loved hearing your thoughts on this, Meredith!